Earwax (Fig 1a &b) is a waxy material made of dead skin, debris and fatty secretions from the sebaceous glands and sweat glands in the lining of the ear canal. 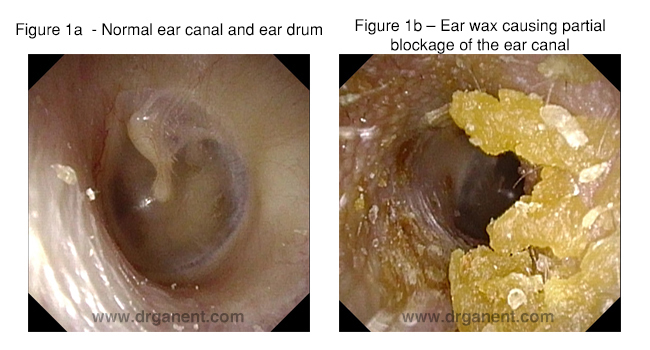 The medical term for wax is cerumen (pronounced as seh-ROO-men). Is earwax bad for me? Ear wax in small amounts is good for the ear. It protects the ear by gathering dead skin, hair and dirt as it moves from the inside of the ear outwards. Hence it is a natural cleanser for the ear. It also has antibacterial and antifungal properties. Should I remove ear wax or dig my ear regularly? No. Wax does not need to be removed unless the amount is excessive and has caused ear blockage, discomfort or infection. There is an old saying that you should not put anything bigger than the elbow in your ear (meaning you should not put anything in your ear!). The ear has a natural self-cleansing process. The ear wax produced by the lining of the ear canal will move out of the ear on its own as we chew or talk. The jaw is located below the ear canal and movement of the jaw will help move the wax outwards. Why shouldn’t I dig my ear with a cotton bud? Many people have the habit of cleaning the ear canal with a cotton bud. This should not be done. The cotton bud is designed to clean or dry up fluid outside the ear canal (Fig 2a & 2b). It is not meant to be inserted into the ear canal. The cotton bud is too big for the ear canal and insertion into the ear canal will only push the wax and debris deeper against the ear drum (Fig 3a). When this happen, the wax will be jam-packed and the self-cleansing mechanism of the ear will fail. In some cases, patients may scratch the lining of the ear canal resulting in an ear infection, puncture the ear drum (Fig 3b) or even have the tip of the cotton bud stuck in the ear canal. Why do some people get ear wax buildup? Some people just produce more ear wax than normal due to their genetics. If you have a family history or excessive ear wax or ear problems, it is likely that you will have a similar problem. It is known that East Asians tend to have dryer wax that are more prone to ear blockage while Caucasians tend to have wetter wax. Also, people with problems with dry skin in the ear canal may also have problems with wax buildup. If you are constantly exposed to an environment with a lot of dust, debris or pollens in the air, these particles may get into the ear and may stimulate more production of ear wax . Frequent ear digging (e.g. with cotton bud, metal picks, pencils etc) not only may injure the ear but may also stimulate more production of ear wax. Wearing ear plugs (for many hours) or hearing aids will block the migration of ear wax out of the ear. This may also stimulate the ear canal to produce more wax and cause blockage. What are some of the symptoms caused by a buildup of earwax? How do I get rid of earwax buildup? For a start, if you have wax buildup and mild ear symptoms, you can use wax softeners that are available in most pharmacy. The wax softener is applied 2-3 times a day usually for a week or two. As the wax softens, it may be dislodged during jaw movements. The wax may then migrate out of the ear canal when one toss and turn around in bed at night. If this fails to clear the earwax or if ear symptoms are severe, you should consult a doctor. Removal of ear wax is a delicate process and one that should be handled with a great deal of care to prevent injuries to your ear canal or ear drum. Some doctors will flush out the ear canal with water or special solution. This is however not advisable if there is a hole in the ear drum as it may cause an infection in the ear. 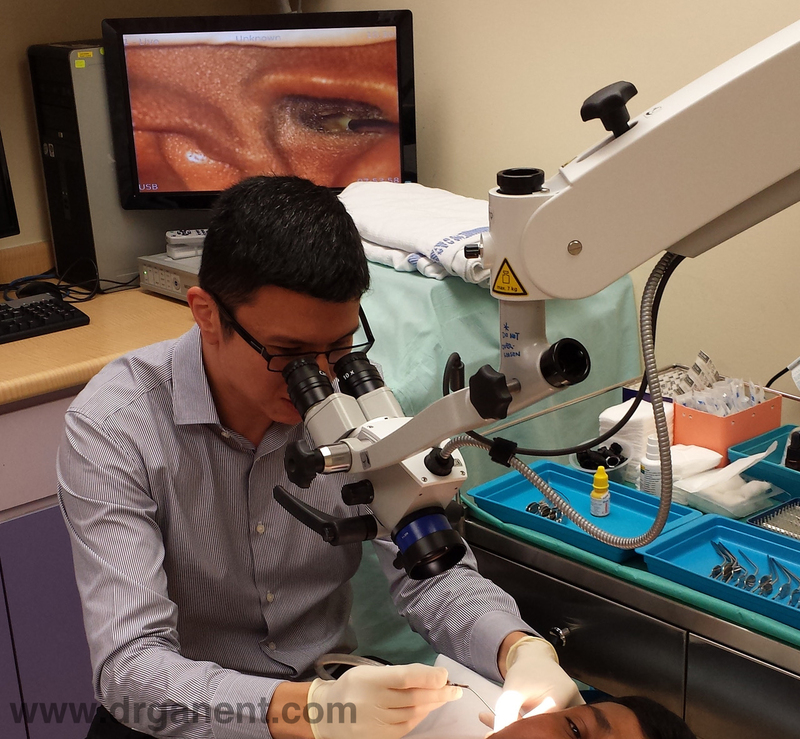 In the ENT clinic, your doctor will clear the earwax using a combination of gentle suction and special fine ear instruments with a microscope to magnify the view of the ear canal. 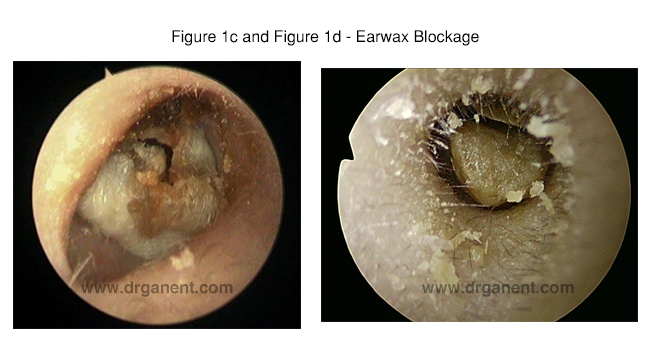 This allows precise removal of earwax without damaging the ear canal or ear drum (Fig 5). Should I go for ear candling to remove earwax? No. Ear candles are not a safe method for earwax removal. 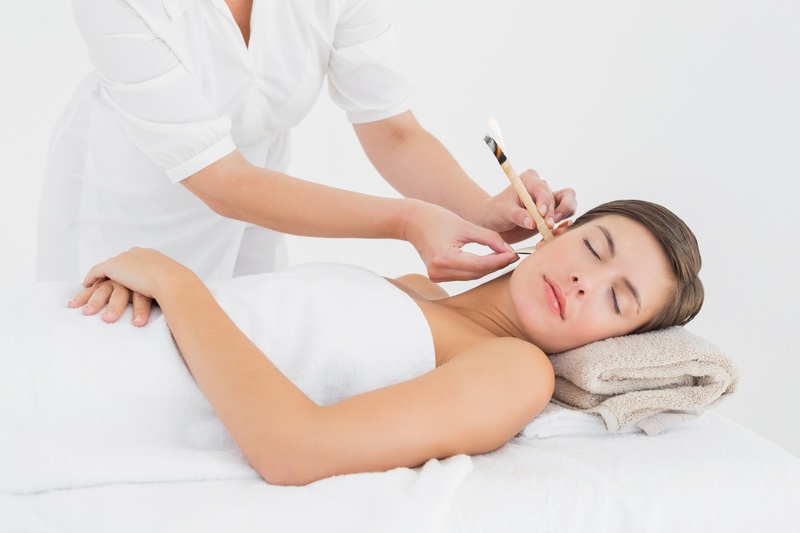 Ear candling involves placing a hollow ear candle (about 20-25cm long) into the patient’s ear and having the candle lit up. The patient lies on one side and the candle is stuck on a paper plate to protect hot wax or ash falling onto the subject. It is believed that the flame creates a vacuum in the candle, resulting in wax and debris being sucked out of the ear (Fig 6). In 2007, US Food and Drug Administration (FDA) issued a health warning against the use of ear candles as it has no scientific prove that it is effective and it carries or a risk of severe skin/hair burns as well as middle ear damage. How do I prevent earwax buildup? Plug the ears with cotton ball during shower to prevent water from getting into the ear. When water gets in the ear, the wet wax may be stuck in the canal.